This month’s meeting was met with high winds and cooler than expected temperatures! 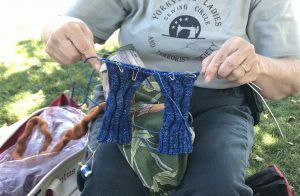 Upcoming Sheep To Shawl for Convergence – Reno in July and at Dixon in October was discussed. Several bags of free alpaca fiber from a farm in San Martin were also brought to the meeting. One of our members shared her WIP of 2-at-a-time socks. 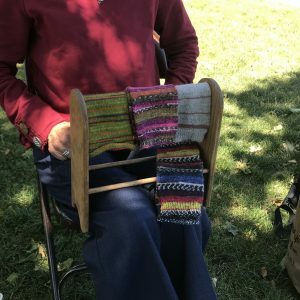 A lovely collection of knitted fingerless mitts. 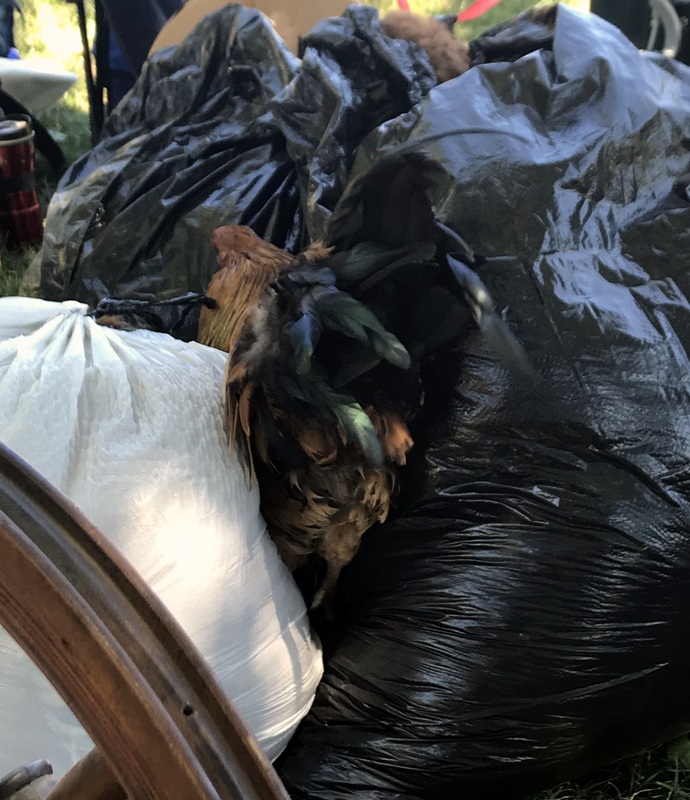 One of the local chickens found our bags of alpaca fascinating and stayed there for quite some time. This entry was posted in Uncategorized on June 18, 2018 by Aviva Garrett.